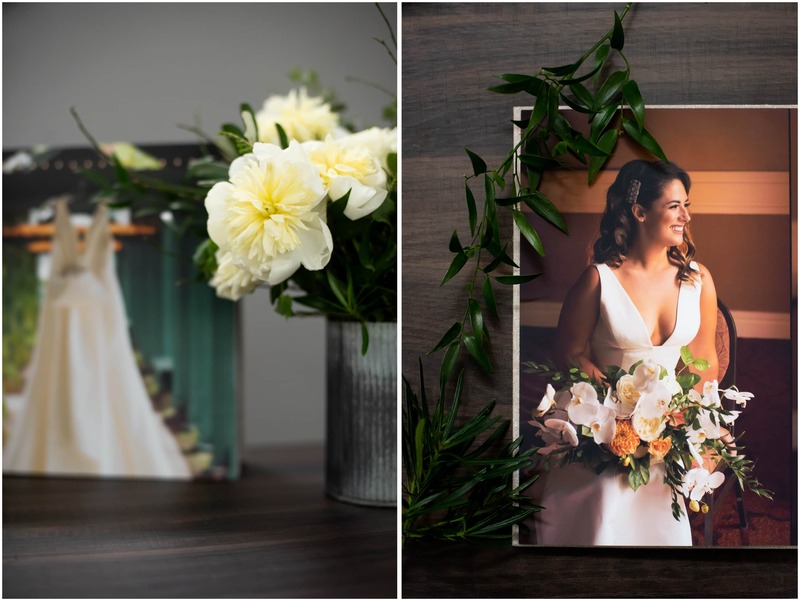 After your wedding, one of the best gifts you can receive is one that you might give yourself: your wedding album! 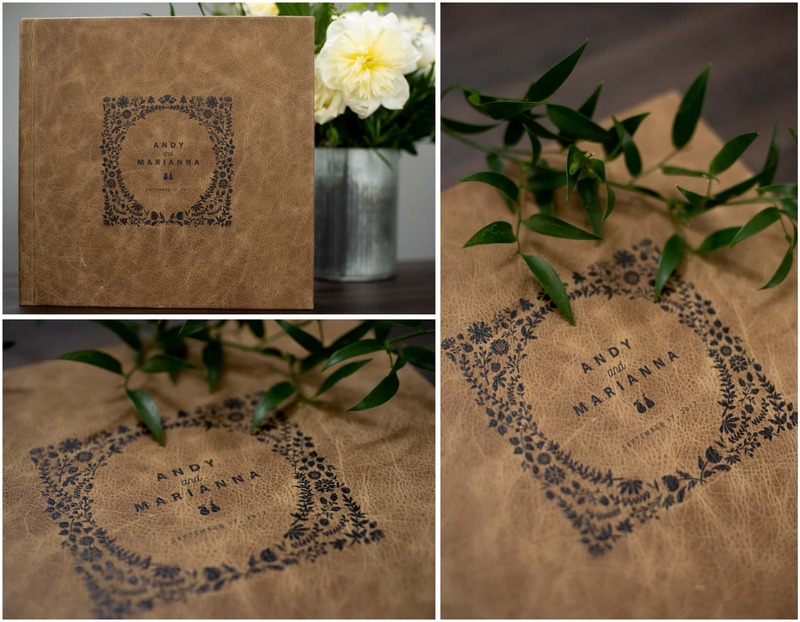 I’m sure we all remember looking through our grandparents or our parents wedding albums as a kid, and how special that experience was. Now, in this digital age we are in, we forget the incredible impact of tangible things, such as an album you can open and share with your friends and family at Christmas or Thanksgiving! Also, a wonderful heirloom to share with your children and their children someday. The albums we offer will last a lifetime! 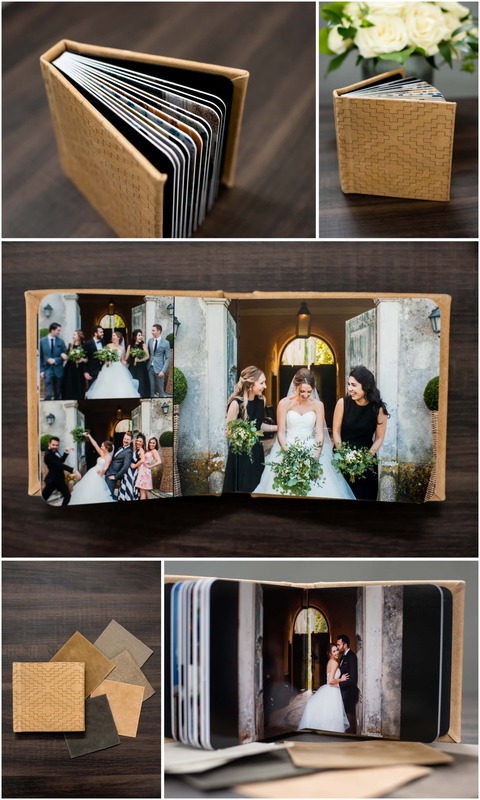 The photos will never fade over time, and the album pages are made out of a durable thick material that will not bend. 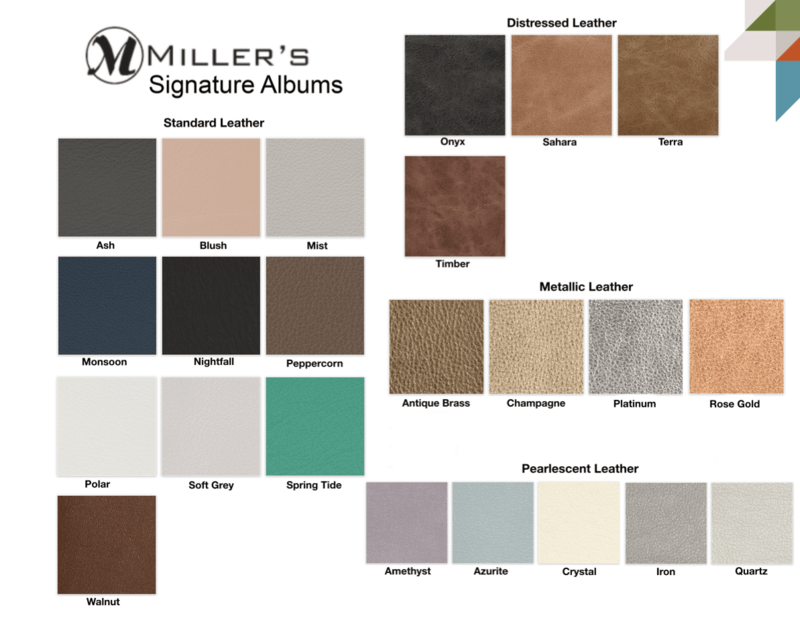 The amazing thing about Millers Signature Albums is the ability we have to do new, fun, and different designs. We can make the album feel like YOU. 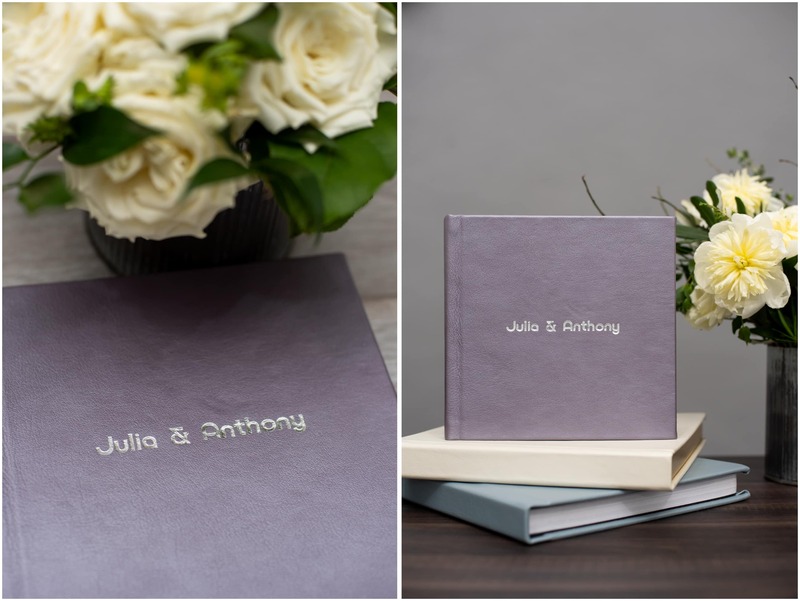 It can have the same wedding colors you chose, and even a custom illustrated cover with your names and your date. 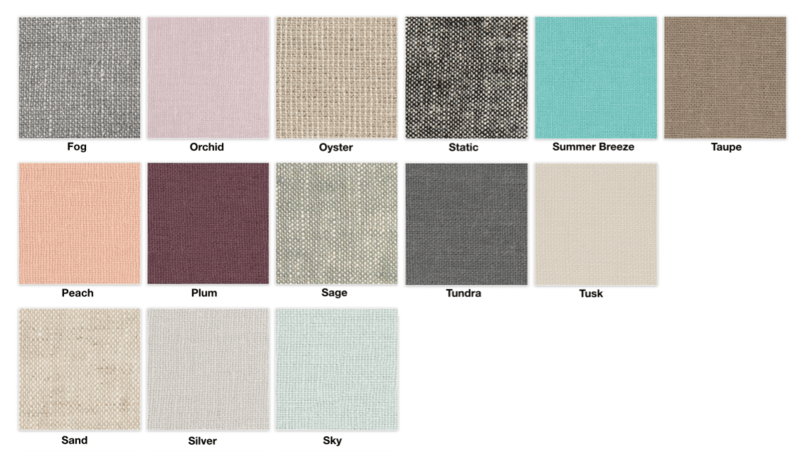 Take a look at some of our examples below to see these custom covers! Wow! 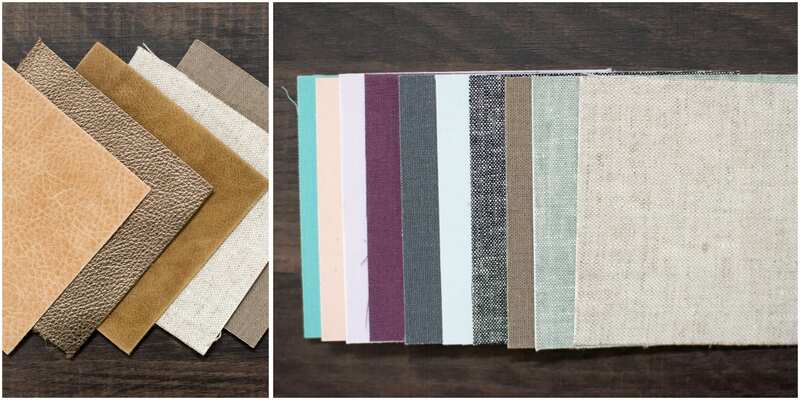 Also, the material that is used for the album pages, allows for the pages to lay flat when the book is open. That way we are able to fit even more photos on the page, or make incredible full page spreads! We truly enjoy designing your album for you. Once you have chosen your favorite photos, we will put together an album design for you in our studio in as little as 3 hours. Once you approve the design (you can revise up to 3 times so we make sure it’s perfect), we order the album and it arrives at your home within a week. 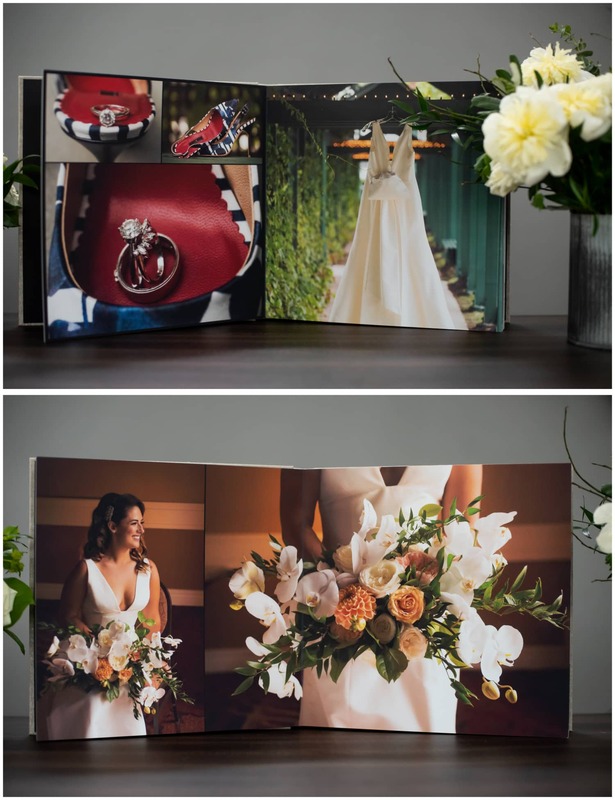 It is an unforgettable experience to see your wedding photos in print and relieve the joy and magic of your wedding day! 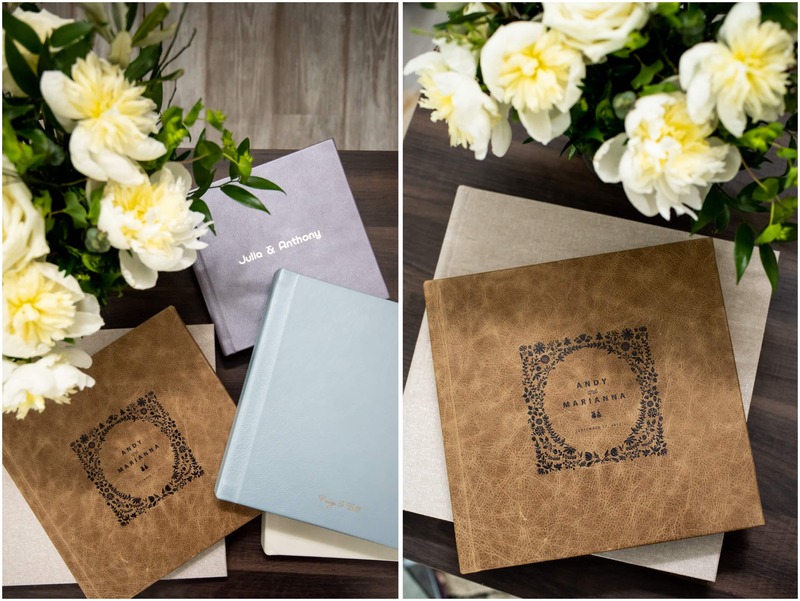 Companion Albums are a great option for clients who would like to invest in parents albums. 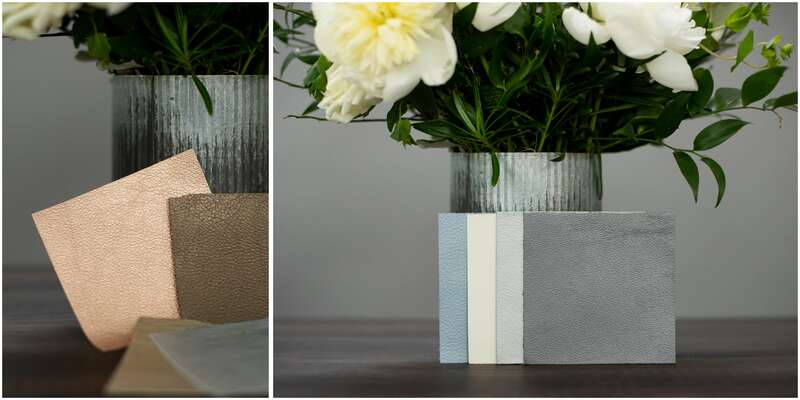 Companion Albums are a smaller size album that are the same design as your album. These albums are a great gift idea for parents and grandparents. We are happy to offer these albums at a discounted price than our regular smaller albums. If you would like to have your parents albums look different than your album that is of course still an option! We just charge the regular price for the album, instead of a discounted price. 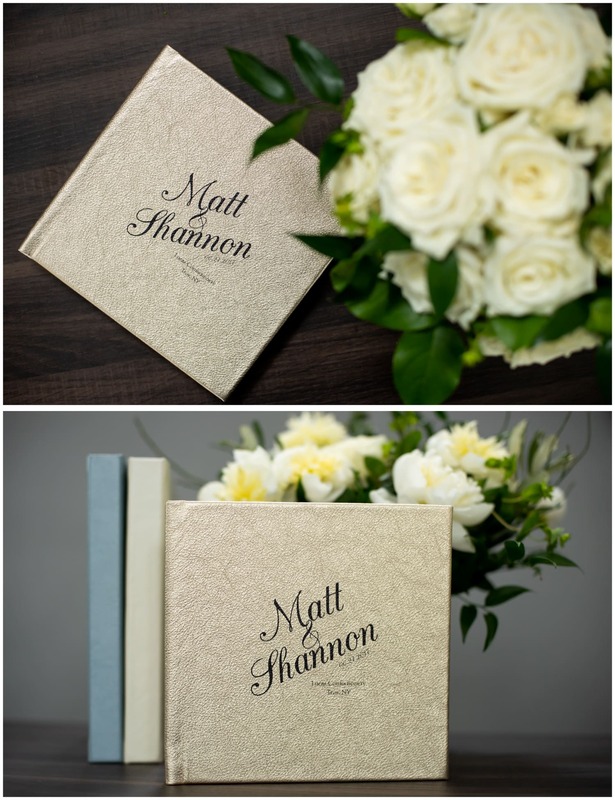 We are so excited to be offering this amazing addition to your wedding album. 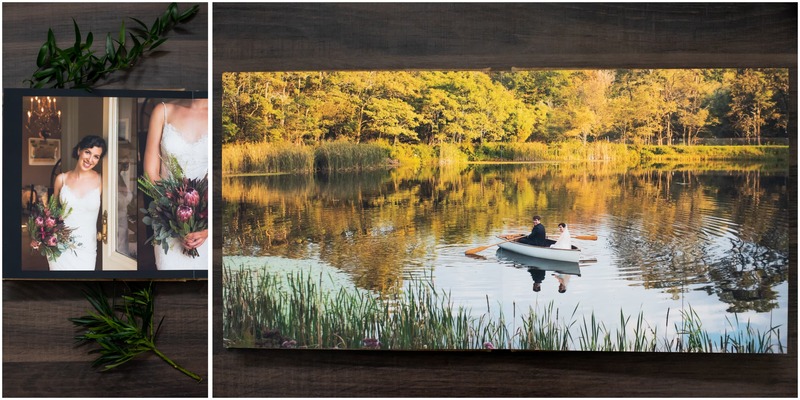 Custom illustrated covers are a great option to make your wedding album have that personal touch and evoke the style of your wedding day. 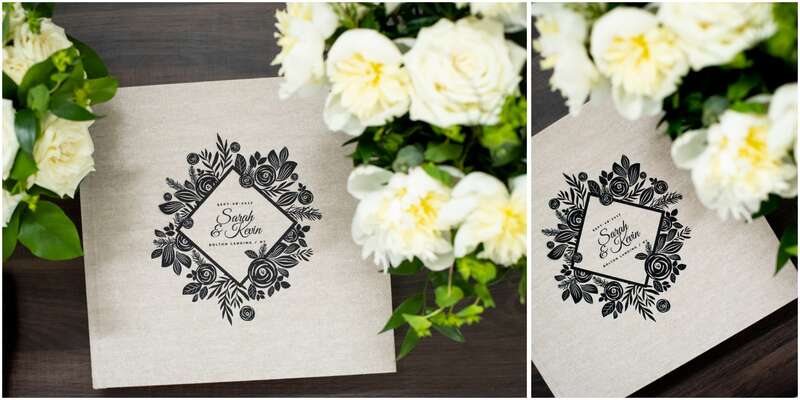 We have a few templates that we can use to design with, or Sarah can create a custom design in script or a fun font that you choose. We think everyone should have a custom cover! Select Dessau Pro or Garage Gothic font, in Blind (no color), Black, Copper, Gold, Matte Gold, Granite, Silver or Matte Silver. 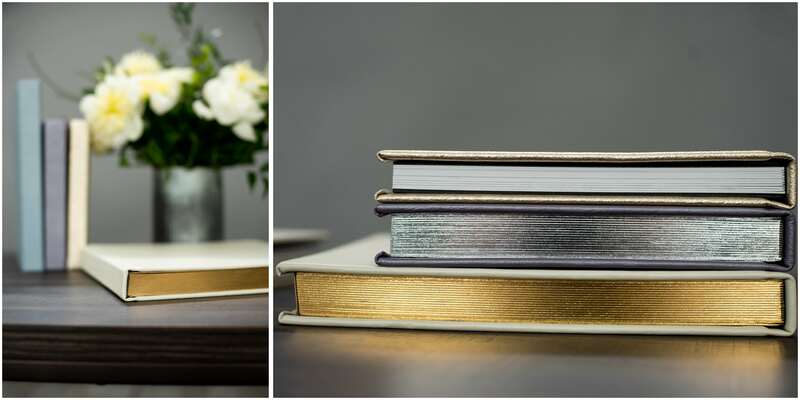 Add black, gold, or silver gilding to your album to make it stand out! “The album is LITERALLY PERFECT!!!!! I wanted to let you know we received our album yesterday and it could not be more perfect! Thank you SO much!